Japanese model sporting a vintage kimono streetwear look while out and about in Harajuku. 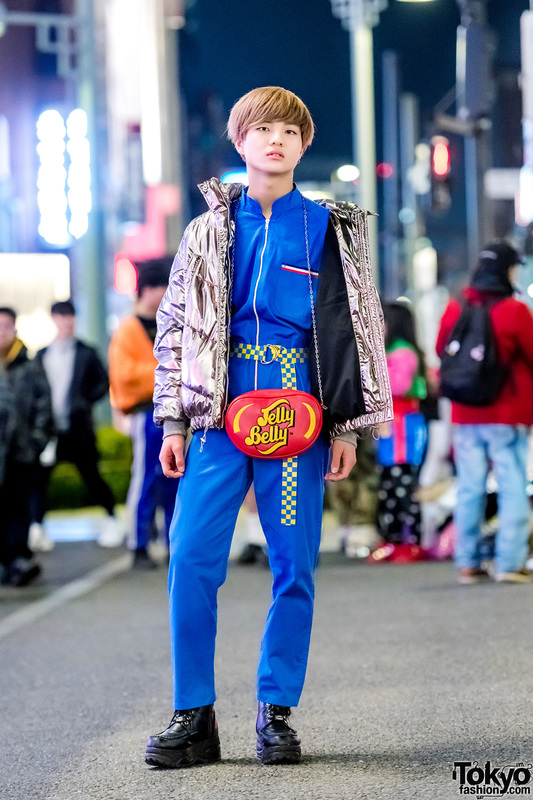 Bunka Fashion College student wearing a cropped hoodie, cut out pants, platform sneakers and carrying a leopard print tote bag on the street in Tokyo. 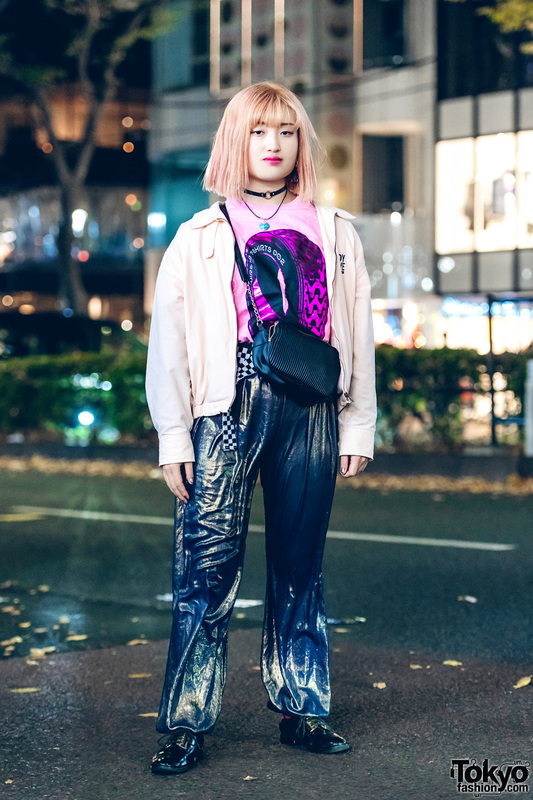 Layered and pink Japanese streetwear style with zebra print kimono top over cropped tube & sheer top, pink pants, platform white sneakers, round handbag, and accessories. Pink-haired Harajuku girl in casual street style while out and about. 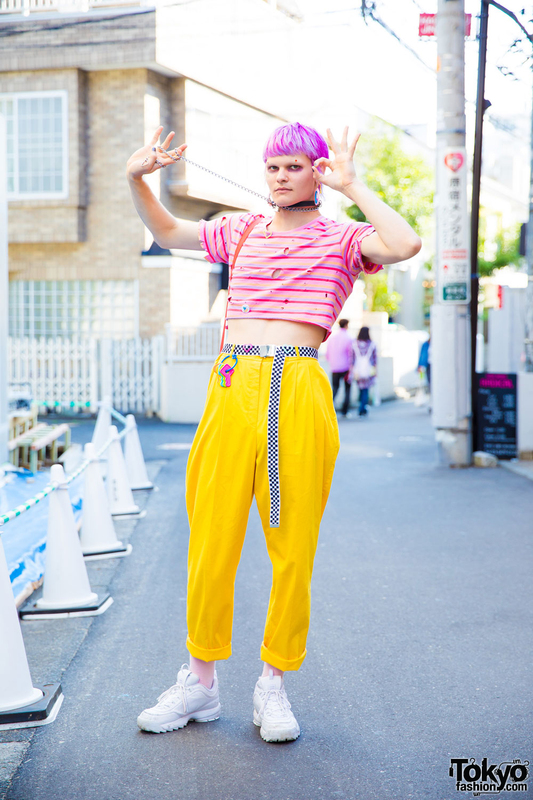 Pink hair and colorful Harajuku street fashion w/ cropped and distressed top, yellow cuffed pants, white sneakers, and pop accessories. Harajuku duo in all black street styles with mesh t-shirt, ripped jeans, oversized sweatshirt, cropped pants, black sneakers, and silver jewelry. Harajuku student in white resale fashion wearing tank top under a ripped sweater, zipper cargo pants, sliders, canvas tote bag and accessories. Harajuku child fashion icon Coco wearing streetwear from Comme Des Garcons Girl, Fendi, Dickies, Vans, and Nike.